Marco Ghirlanda, team leader of ArtistX, announced the immediate availability of version 0.6, now created with the help of Remastersys Live CD creation software. Using the 2.6.27 Linux kernel, ArtistX 0.6 lets you choose between GNOME 2.24 and the recent KDE 4.2 desktop environments and has Compiz Fusion included for a full 3D-effects experience. Having plenty of space on a DVD, ArtistX 0.6 comes with almost 2500 free multimedia applications designed for all Linux users. 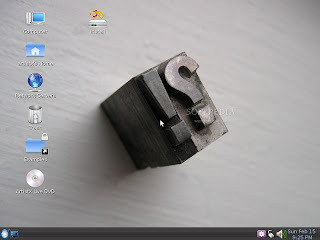 This version is based on the latest stable Ubuntu 8.10 (Intrepid Ibex) release and features the Ubiquity installer. · PD, Rosegarden, Ardour, TerminatorX, Cecillia/Csound, Gnusound and Mixxx for creating and editing audio files. ArtistX Linux Live DVD, an Ubuntu based distribution, transforms a normal computer into a full-featured multimedia production machine. Containing almost all available free audio, video and 2D/3D graphics tools, ArtistX is a good choice for multimedia enthusiasts, professionals and amateurs alike. Being a Live DVD, there is no need to install ArtistX on the hard disk, thus leaving your partitions untouched. All the created files can easily be saved on USB drives and even burned on CDs or DVDs. Download ArtistX 0.6 right now from here, here.